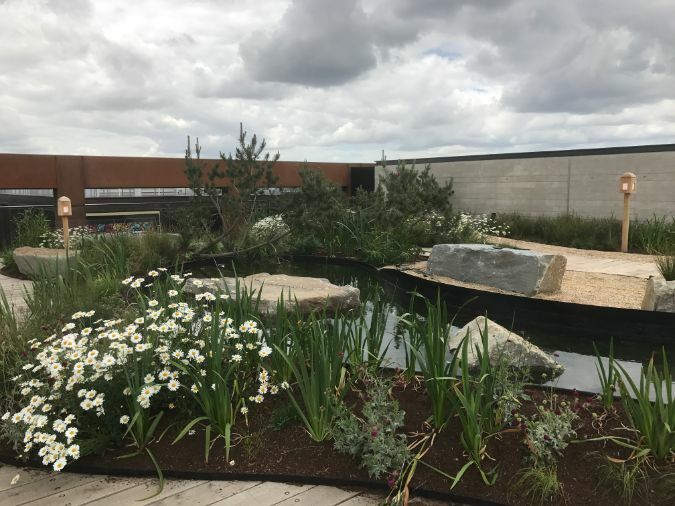 Green-tree’s intensive roof garden substrate and gtRoofdrain has recently been installed in the prestigious London development of Four Pancras Square. Four Pancras Square is a Grade A office building located to the North of the existing King's Cross railway station, on the new Pancras Square. The 170,000 sq ft ten floor building is the final part of a two million sq ft cluster of nine office buildings south of Regent’s Canal. 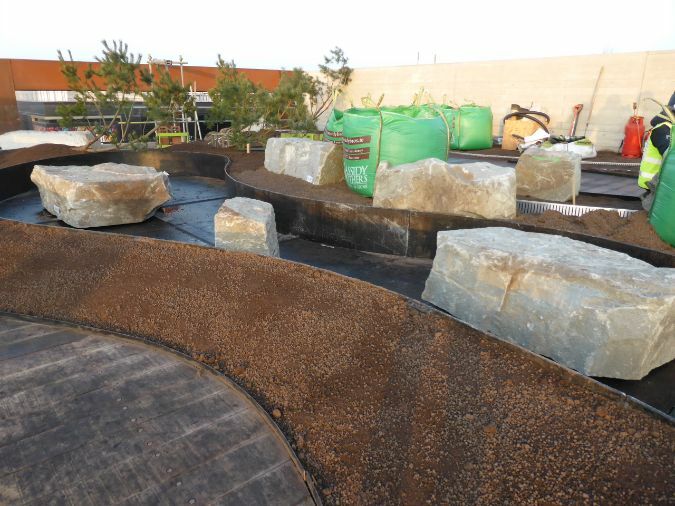 The landscaping work was undertaken by Kent-based landscape contractor Willerby Landscapes and Green-tech supplied them its own brand Green-tree Roof Garden intensive substrate for the roof top containerised planting scheme. The substrate was ideal for the project due to its lightweight texture and good water-holding capacity which ensures healthy plant establishment in harsh rooftop environments. gt Roofdrain was also incorporated into the project; this forms a lightweight high performance drainage layer, allowing collection and storage of water to irrigate plants during drier periods.